I am quite thrilled to say that the agent/publisher response to my third novel, FREEBORN, has been far and away better than for my first two novels. That tells me I am learning more of what it takes to grab and hold their attention through pitching and actual writing craft. That last statement sounds like agents & publishers are my market, my audience. They are not. The buying public is. That thought dredges up a random song from the depths of my lyric-infested head. 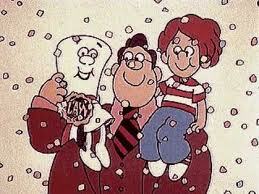 An old Schoolhouse Rock tune. Sing its catchy educational glory with me. In this sense, I suppose agents are a lot like Congress. My manuscript will remain just a bill until an agent decides it is worthy to become a law. Since I’m having more fun than you can imagine with this analogy…I suppose that would make the head of each agency the Senate. Even if Congresswoman Agent likes my manuscript, she will have to pass it through Senator Agency Head for a second approval. If all is a go, then my lowly manuscript will be on its way to becoming a full-fledged book. It’s a long, long wait while I’m sitting in committee. 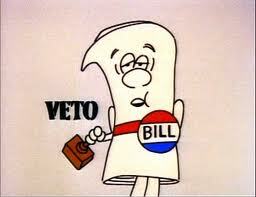 Then there is President Publisher towering over the paperwork with a veto stamp in hand. 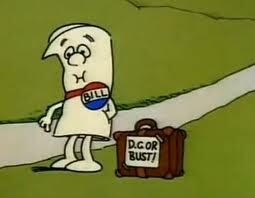 My poor little bill can get rubber-stamped, kicked back, and remain an unrealized idea. Damn bureaucracy! 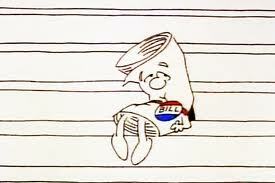 Like Bill, I’m sitting here on Capitol Hill. With complete contrition for getting this song stuck in your head for at least a day, here is the YouTube link to help you dig out the earworm. Be sure to check out all the Grammar Rock subgenre of videos, too. Chalk it up as “an online writing course”. This entry was posted in Agents, Freeborn, Invisible Ink, Novel, Publishing, Queries, Writing and tagged Just a Bill, Schoolhouse Rock. Bookmark the permalink. But, you’re on your own if my friends and loved ones come after you with torches and pitchforks because I won’t stop singing it aloud. Just sayin’. Oooooh, foregoing the democracy to publish on your own terms! There are many forms of acceptable government in the publishing world.